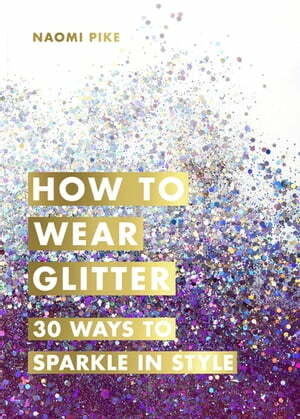 Collins Booksellers - How to Wear Glitter by Naomi Pike, 9781473560284. Buy this book online. Live life with a little more sparkle. This is your one-stop guide to glitter and how to wear it. Includes only the best biodegradable and ethical brands (please glitter responsibly!). Features 30 gorgeous step-by-step looks from all-sparkle lips to intricate eye make-up, glitter braids and beards, to full-on body art or a perfectly simple glitter lash line. Halloween, Christmas or festival season just isn't the same without a little sparkle and shimmer. Also includes glitter inspiration from the runway to Instagram, your basic eco-glitter beauty kit, fashion and accessories to complete the look, sparkling stockists and top tips from the experts, including make-up artists, drag queens, celebs, stylists and fashion designers. Grab your glitter, because you deserve to shine!